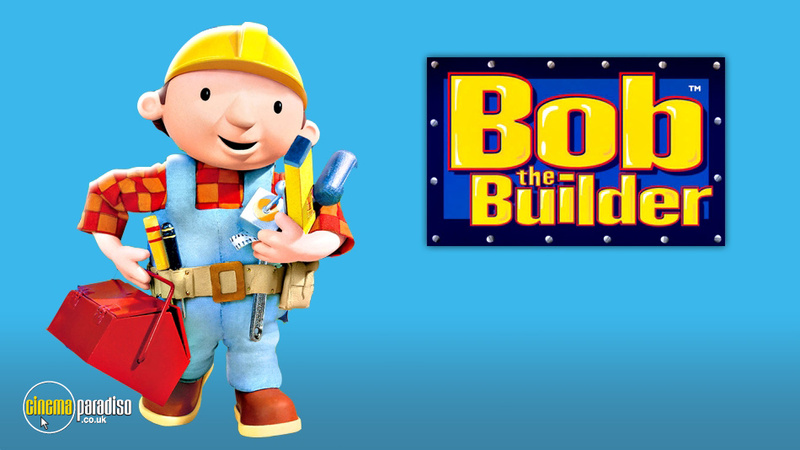 Bob the Builder is a British animated children’s television series. Premiering back in 1998, the series follows the title character - Bob - the town builder, whose famous catch-phrase cries “Yes we can!” Along with Bob comes a cast of interesting characters including Bob’s building partner Wendy, a mischievous scarecrow named Spud, and Farmer Pickles. Voice actors include Neil Morrissey, Rob Rackstraw, Kate Harbour, and Rupert Degas, among others. Join Bob, Wendy, and their team of machines in these classic adventures which made Bob the Builder an international superstar! This fantastic collection finds the team repairing barns, taking part in races through Bobsville, line dancing, and even going on a hunt for a missing nose! Proof that hard work and good fun go hand in hand, all that needs to be asked is...Can They Fix It? Now there's even more Bob for you to enjoy, with the complete second series of "Bob the Builder"on Video for the first time! Join Bob as he helps out the residents of Bobsville with building tasks large and small. Whilst repairing the clock tower Bob gets stranded on the scaffolding without a way to get back down! Meanwhile a sleep "rolling" machine causes havoc throughout the town and the team have success in i the 'Brightest Builders Yard' competition. Join Bob and the Can-Do Crew in 26 classic, building adventures. Scoop has a turn at being the boss, Roley has an encounter with a local rock star and all the machines take part in a 'sponsored demolition'. Hammering, sawing, plastering and building, no job is too small for Bob and his team. Can We Fix It?...Yes We Can! Whilst chasing rabbits in a field, Scruffty falls down a hole. Muck is spooked by the noises he makes and thinks it's a ghost. He calls Bob to have a look and then Lofty hauls Scruffty out of the...When Mr Bentley gets soaked whilst inspecting a pipe, Spud decides to take over his job, even though he has no qualifications! Bob is building a hen coop for Farmer Pickles as his hen has abandoned her eggs. Spud decides to look after the chicks. Bob starts a pizza delivery service while Wendy and the machines build a bike path. Bob buys a metal detector to look for treasure while Wendy and the machines build a car wash. Mr. Beasley has a huge disaster. Mr. Beasley makes some new friends. JJ loses his new remote control plane - only for it to be found by Spud. Molly sees a family of otters by a stream. Trix wants to watch them too, but they are scared when they see a big shiny machine. Muck devises a good way to watch them. Bob takes a picture of the town. Bob takes a picture of the town. Bob takes a picture of the town. Bob takes a picture of the town. Mr. Beasley plays the bagpipes and they're very noisy. When Bob gets secret dance lessons from Mrs. Percival, Bob realizes that he can't dance the Salsa, until he and Wendy learned that they must build an outdoor dance floor. Scoop is busy helping Bob and doesn't have time to learn to dance for a special dance display. Bob the Farmer is an episode in Season 9 of Bob the Builder. Bob the Farmer is an episode in Season 9 of Bob the Builder.